Fights between species can be cruel, even merciless. Everyone desperately tries to get food and the strongest animal can take it all. Or, maybe, the cutest animal? If that's case, the fighting is bound to be even fiercer! 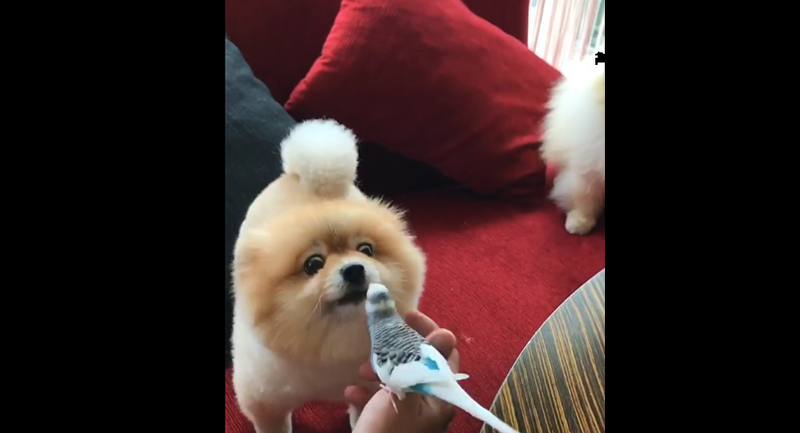 The Pomeranian and a parrot might on an average day be good friends, but now these pets are fighting for a little snack — but the clash looks more cute than terrifying. The dog had to yield in this standoff, but who knows what will happen next time?